Protect Your Home From Robberies Adding lighting to your yard significantly decreases the chance that your house will fall victim to a break in. When your yard is well-lit, thieves are much less likely to burglarize it. Instead of risking being seen in your bright yard, they’ll skip your house and move on to the next dark one. Increase the Value of Your Home Unless you’re planning to live in your current home for the rest of your life, you’re probably concerned about how much your house is worth. A simple and highly effective way to increase the value of your home is to have outdoor lighting installed. This small addition will make a huge difference to prospective buyers and allow you to get more money for your home when it’s time to sell. Prevent Your Guests From Tripping or Falling If you’re hosting a party or having visitors over at nighttime, it can be hard for them to see where they’re going in the dark. Don’t risk having your guests trip or fall and hurt themselves! Eliminate this hazard by adding lighting to your walkways and yard. Add to Your Home’s Curb Appeal It feels good to know that your home looks as great on the outside as it does on the inside. By adding exterior lighting, you’ll revitalize the appearance of your home and impress everyone in the neighborhood. Highlight Your Landscaping Landscaping requires a lot of time and money, and it deserves to be seen in both the light and the dark. Whether you’d like to emphasize a particular section of your yard or the whole thing, anything is possible with landscape lighting. Use this lighting to add ambience to your home while showing off the landscaping that you’ve worked (and paid) so much for. If you’re ready to increase both the beauty and safety of your home with outdoor lighting, choose Bonza Landscaping & Hardscaping. We’ll work with you to design your own personalized exterior lighting plan. Whether you’re looking for low-voltage, solar, or weather-resistant lighting, we can help. Give us a call at 610-277-2022, and we’ll give you a free estimate based on your custom exterior lighting needs. 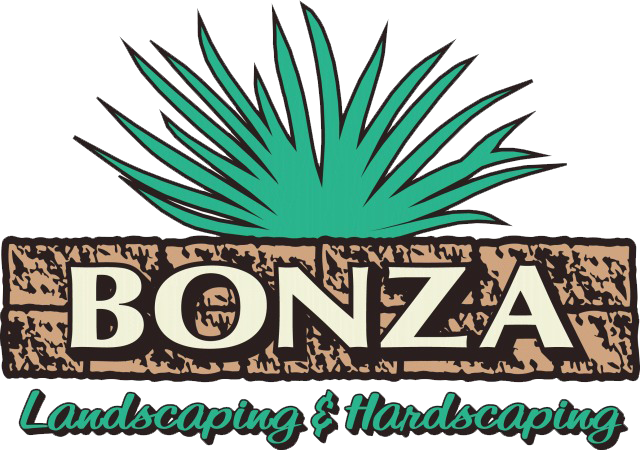 For the best outdoor lighting in Norristown and beyond, hire the Bonza team today!